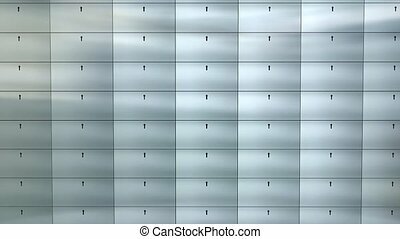 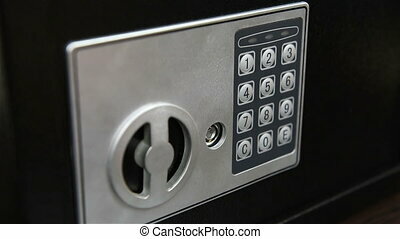 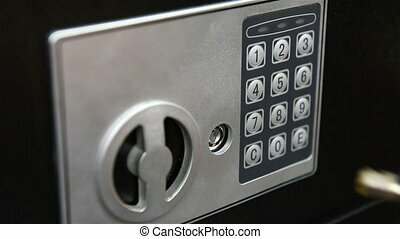 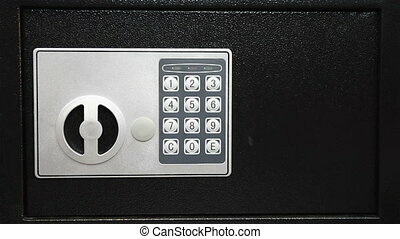 Bank safe with digital lock, rotates on white background. 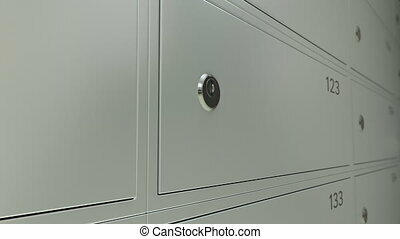 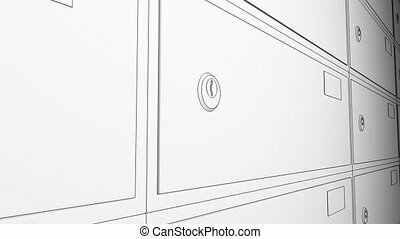 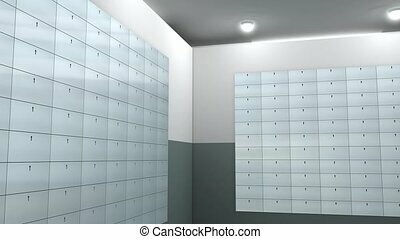 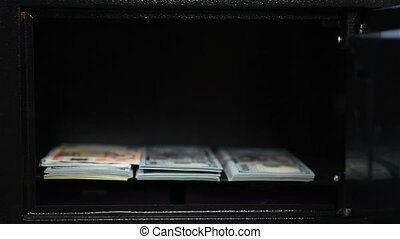 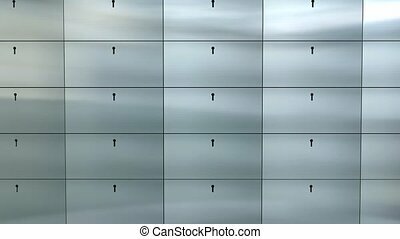 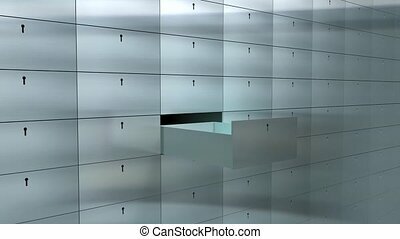 Artist rendering bank safe deposit box. 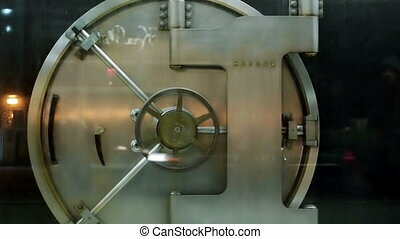 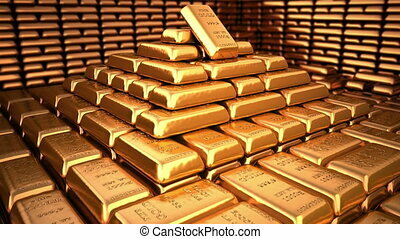 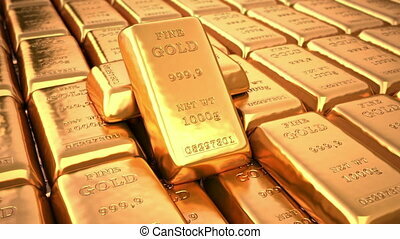 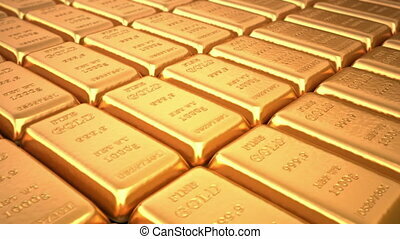 Golden ingots in bank vault or safe. 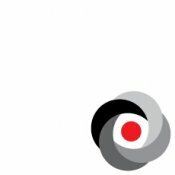 Loop business 3d animation.